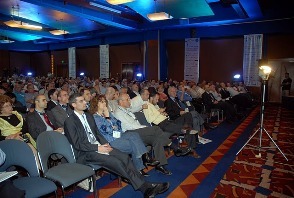 We invite you to join us at the 4th Eilat-Eilot International Renewable Energy Conference 2011 to take place on February 22 – 24, 2011, and be a part of building a brighter future. Come for this three-day conference in which we will gather together to discuss and share ideas, as well as seek out business partners that will help us all make the difference in energy policy, green education, renewable energy and energy conservation R&D, renewable energy commercialization and innovative technology application. 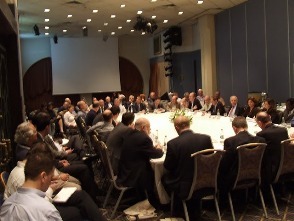 iConsortium, the Israel Energy & Security Consortium, is a partner in the 4th Eilat-Eilot International Renewable Energy Conference 2011. This is the fourth year that iConsortium is devoting its energies to help promote and organize this trail-blazing conference on renewable energy. We are fully committed to helping the Eilat-Eilot Renewable Energy Initiative to bring energy independence to the Eilat region and believe that this project is the pioneering endeavor that will serve as a model for solving the energy crisis in which not only Israel, but all nations can emulate to free themselves of dependence of foreign oil while developing sources of clean safe energy. We will be seeking out new business partners, members and clients for joint ventures in R&D and in sales of integrated energy saving building projects and energy plants. During the conference, engaging meetings take place that lead to tangible results in the field. 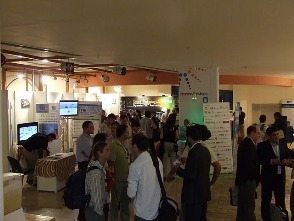 The previous conferences have established this event as the leading Renewable Energy conference in Israel, as well as a conference of global significance. Enjoy a “one-stop-shop” for everything that Israel has to offer in the area of renewable energy innovation and business opportunities. You just may find the next game-changing technological breakthrough right here! Connections made in Eilat-Eilot Renewable Energy conferences have brought about major national and international business deals, such as Siemens investment in local Arava Power and Aora Energy’s success in raising capital for deploying their revolutionary commercial pilot project in the Arava region. Learn about our region’s unique model for solving the energy crisis while creating exceptional economic growth. 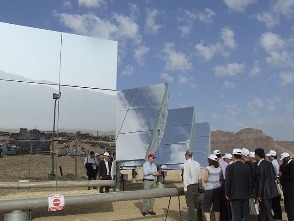 Tour the Eilat-Eilot Renewable Energy project sites and see for yourself. Looking forward to the conference! I hope to meet many people interested in building a better future.